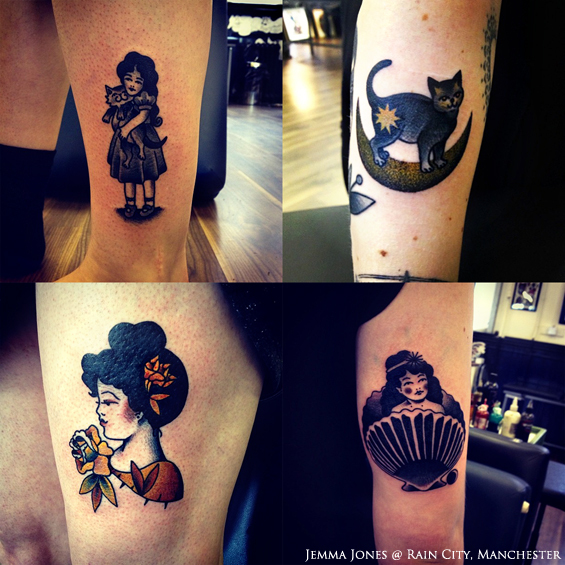 Top Tattooists - Jemma Jones at Rain City Tattoo, Manchester - Sugar, Darling? 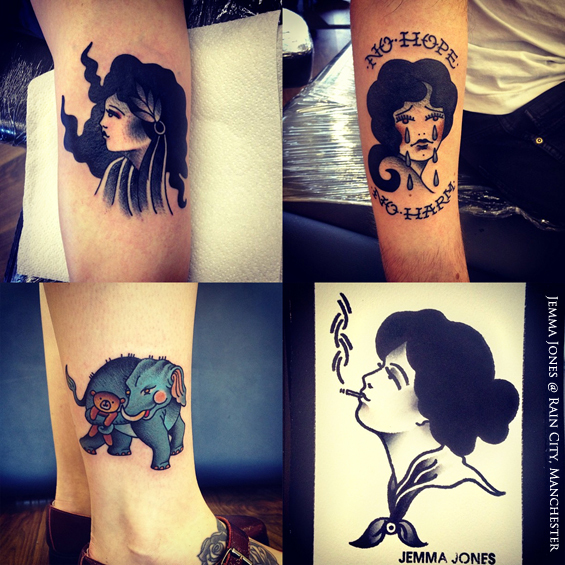 I'm starting another new feature today spotlighting some of my favourite tattooists from around the world! 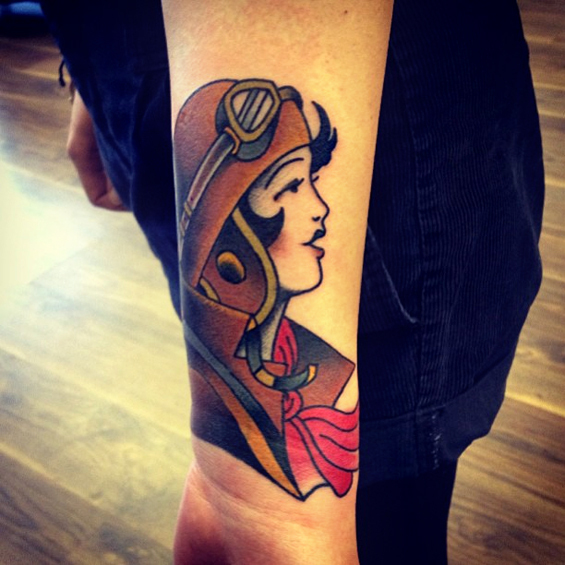 I thought I'd start with a very talented lady Jemma Jones of Rain City Tattoo in Manchester. I found Jemma on Instagram somehow and was immediately drawn to her bold style and the unusual subject matter of a lot of her work. 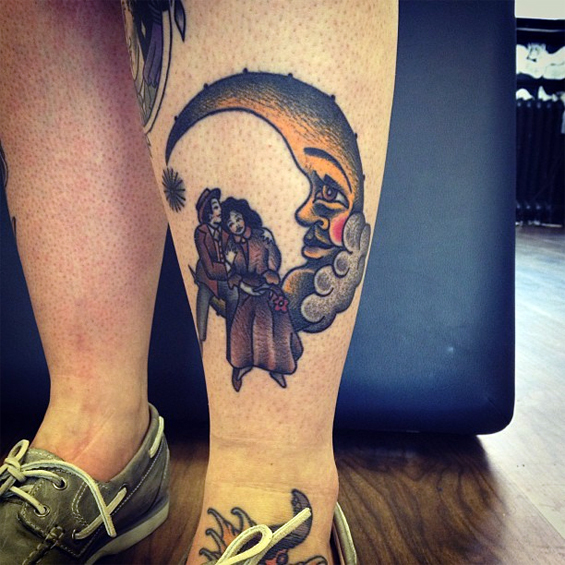 Jemma's work always makes me think of the films of Georges Méliès the French illusionist, particularly' Le Voyage dans la Lune' from 1902 and Terry Gilliam's 'The Adventures of Baron Munchausen' from 1988, two films that I obsessed over in my childhood. Perhaps this is because of the beautiful and fantastical imagery that immediately catches both your eye and your imagination. I'm yet to get a piece from Jemma myself but am on a mission to do so hopefully this year, my beauty parlour earnings and going into a pot to save up! 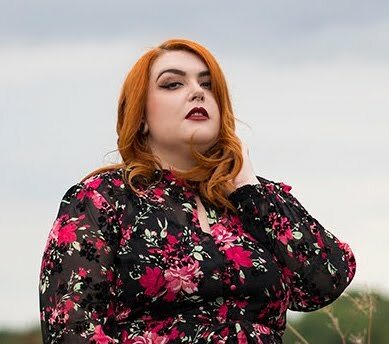 I know for sure what I'd like her to do and can't think of an artist that could do it better, so fingers crossed I can get an appointment in Autumn! 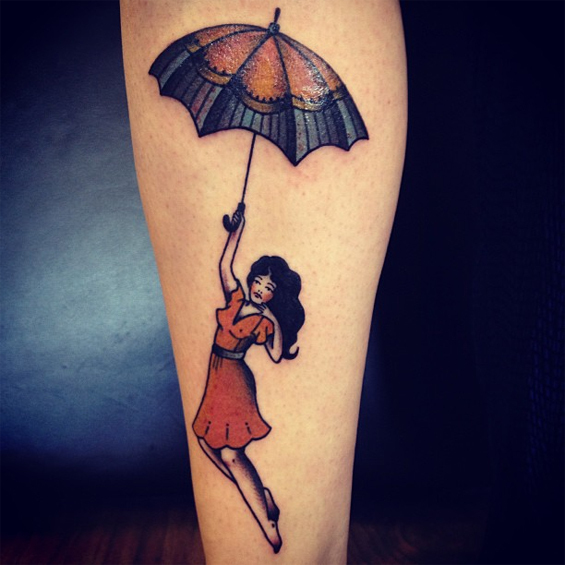 You can check out Rain City Tattoo the shop Jemma works at here or check out her Facebook page here. The username to search for on Instagram is 'wolfspit'. Have you found any exciting new artists recently? Do let me know if you have!